SteemMag – Steemit’s Weekend Digest (‘Steemit is 4’ SPECIAL EDITION) #5: The Journey so far - Exclusive Chats With Early Supporters, Owner of A Crypto-exchange, A mini vox pop and This Week on Steemit……..
I’m highly delighted to welcome you to this special fifth edition of SteemMag, A Weekend Digest For Steemians ……. Every week, I take a look at some of the most important topics and have a chat with top Steemians who have expert views on such topics. This Weekend Special Edition has exciting packages you would love. SteemMag had a chat with 2 of the earliest supporters of Steem and SBD. Their pre and post-July 4 support has not only ensured that Steem has taken off nicely, but has also given the Steem tokens credibility and security. The first chat is with Dan Notestein, the CEO and founder of BlockTrades International Ltd – the company behind the market-making website, Blocktrades.us. Interestingly, he is also a whale and a witness. Also, we would be having our regular This Week On Steemit. The second chat will be with a cofounder of one of the largest crypto-exchange platform in the world. Bittrex was among the first exchanges to support Steem and SBD and were very helpful during the first security hack. We would also be having a “vox pop” style to examine one of Steemit biggest goals – To reward content creators. SteemMag reached out to different Steemains to ask: Whats the nicest thing you’ve gotten with your Steemit earnings. A CHAT WITH DAN NOTESTEIN, Founder, Blocktrades.us , a whale and a witness - @blocktrades. Hi Dan. 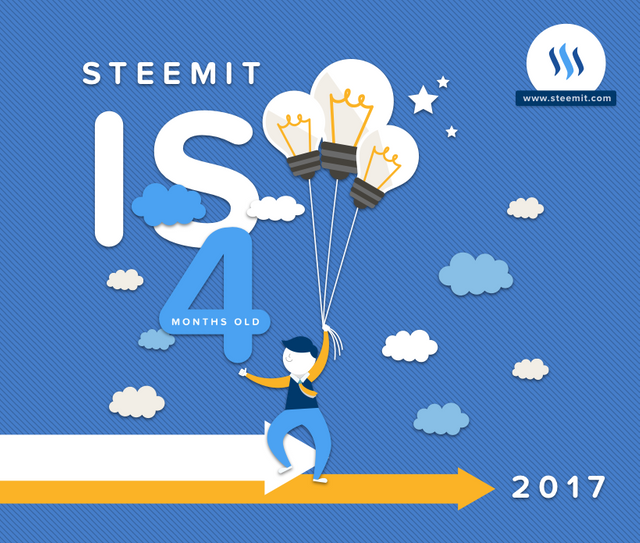 Steemit is currently in its 4th month and it's been an amazing experience for everyone in the Steem ecosystem. And this success so far wouldn't have been possible without the efforts of some key players. Of which, you are one. Blocktrades was recently operating in a stealth mode, why did your company decide to take the risk of supporting Steem and Steem Dollars very early? BlockTrades has worked with Steemit from its very infancy and we agreed early on to support the Steem platform (before the Steem client was even started). Particularly interesting to us was Steem's ability to reach beyond the existing cryptocurrency communities and introduce new demographics to the potential of cryptocurrency technologies. Personally, you are a witness, a whale and a founder of a top cryptocurrency platform. How do you manage to combine all these duties effectively? There's some overlap in my witness duties and the regular operation of BlockTrades. Currently I've prioritized our support of Steem over other cryptocurrencies to make the juggling easier. My other contributions as a witness tend to revolve around providing business advice to Steemit and this doesn't consume a lot of "work" time, as a lot of the best ideas are "shower thoughts". As for the job of being a whale, I recently farmed out some of the curation efforts to my wife/business partner, so we share that work now. It's still a lot of work to curate in an optimal manner (I've never had time to achieve even close to optimal returns from my own curation efforts), so I recently made some proposals to improve the process from the curator's point of view so as to improve the quality of the curator's efforts. What has been some impressive developments on Steemit you've noticed? And which areas would you like to see changes? I think the most impressive thing was just how fast Steemit got started. That said, there are tons of features I would like to see added to the platform. The top items on my list now are a button to "share" when a new user joins via Facebook as a recruiting vehicle, fixes to the current tagging system (lots of tags don't show up and can't be searched for), and a "introductory guide/reference section" for new users. Steemit really needs a newbie guide that teaches the basics of how the platform works (voting/curation rewards, how to vote/flag, how to include images) and also some of the emerging "cultural rules" about how to make an acceptable post or when it's generally considered acceptable to downvote a post. Steem.io was originally supposed to be this place, but I feel it has not kept up with changes to the platform. As an owner of a market making platform, what is your take on the current price of Steem? As the owner of a market-making platform, I usually avoid saying positive or negative things about the price of any given cryptocurrency. And in this case, as a well-known holder of a lot of Steem Power and developer of some of the core code, I guess my opinion is subject to a certain amount of bias. Still, the technical merits of Steem and the underlying Graphene toolkit should be pretty obvious to anyone versed in blockchain technology (or anyone, for that matter, who's ever waited for a bitcoin transaction to complete). What that translates to in terms of price is a hard question to answer and really depends on the broader question of to what extent cryptocurrencies manage to overtake existing sovereign currencies. But of the existing cryptocurrencies, it does seem to me that Steem has the best chance of consumer uptake, given its ability to rapidly reach a new class of users. Blocktrades currently has a lot of Steemians that transact on its platform, do you have any plans or improvements to offer Steemians soon? We've got a long list of features we plan to add to BlockTrades, as you might imagine. Lately, I've been giving a lot of thought to what we need to do in order to offer direct buying/selling of crypto with fiat money (e.g. US dollars, Euros, etc). Where do you see Steem and Steemit in 8 months’ time (at its first year anniversary)? Things change very rapidly in the crypto world and there are a lot of variables in play, so it's very hard to predict just what changes will take place, especially as user adoption continues and new developers join the ecosystem. I am impressed by how many new independent developers have already been attracted to the platform as demonstrated by the many 3rd party web sites for Steem now. All of these new people can really dramatically push the pace of development. A lot of interesting events happened this week. And in case you missed them, we’ve got your back. Here are some of the most important events that happened on Steemit this week. ~ Steem continues downward fall with a new low of $1.38. ~ Kevinwong successful implemented The First Steemit-Powered Dance Music Event! ~Kencode’s Smartcoins Wallet adds more features to serve crypto users better. I'm actually working on a guide to some of the etiquette (- dos and don'ts) and should have it out soon. I'm just looking to get some appropriate artwork from @Klye first before I put it out to make it more engaging. Well if people agree with the advice I'd be happy for it to be incorporated into a faq and used in that way. I already have the text pretty much finished. I have created a sort of etiquette a couple weeks ago. Would be awesome to get an updated version with some added etiquette for Steemit specifically. There are actually tons of guides for newbies. I remember creating a couple of them myself. The issue is that they get 'lost' after the initial payout..... IMO we seriously need a welcome page or a sticky post. Awesome info as always infovore. This is such a great way to catch up on events happening in the steemit community! I for one am looking forward to the mobile app coming out by @good-karma .. Have you seen it infovore. . . looks promising and the UI is just stunning looking. Thanks @rachelkhona . Having your support weekly motivates me to get better. I haven't checked it out yet. Will do so and feature it next week. You're my weekend. Weekend special!! Fantastic post again! I am only on Steemit a coouple of days now, but finding and feeling my way. I agree a newbies FAQ and comprehensive intro guide would be very useful, and a search on Users. I had two friends joined up today, but can only find one of them so far, LOL! Likewise, I have followed you because I love to be updated on the latest news and developments, and after some digging, I think I've figured how to be notified when you post. Only thing is, I have no idea if it is the best, quickest or would be the recommended way. Anyhow, great work chaps. It's still all early days and I can;t wait to see what is coming next :) Oh yeah... another idea for people like me... a spell checker on the posts? Some of us are dyslexic as you probably can tell. Thanks. I'm glad you liked it. There is actually a search function powered by Google internal search. You can check out your feeds tab for posts by users you follow. I'm very happy that I found this opportunity in it's first few months. Although I haven't made any big money with my posts, I'm positive that things will go my way soon! I know this because my momma told me I was gonna be a great writer! And momma's always right! I think they will stay in for the long term. The apps on Steemtools are just the tip of the iceberg. There are plans by Steemit founders and several others to run other grand apps that run on the blockchain. You might want to read @dan's post on Steem agenda on taking over the world. Steemag would be the perfect media partner, so let's talk about a partnership. Please contact me via email: aaron@bitfilm.com. That sounds like an interesting idea... Will check it out. Thanks so much fro reaching out..